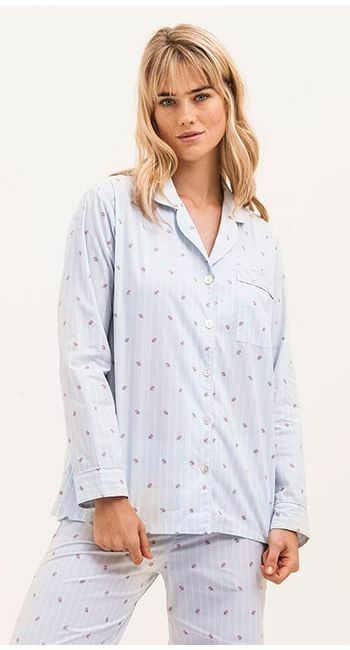 A beautifully feminine blue and white stripe with small pink flowers makes this one of our best selling pyjama shorts. Buy them separately or pair them up with one of our plain vest tops. We love them with our coral bamboo jersey vest. Matching women's pyjamas and nightshirt available as well as girls pyjamas in the children's collection. Isn't it time he brought you breakfast in bed? Wear these irresistibly pretty pyjama shorts and he just might.